Our Amish Pine Wood Double Hamper with Drawers is a handy addition to your laundry room, utility room or hallway. This spacious double laundry hamper provides plenty of room for clothes and sheets that are waiting to be laundered. Lovely eastern white pine creates an attractive hamper to keep everything organized. Eliminate unsightly laundry piles with this pine hamper that provides spacious drawers for storage and surface space to keep detergents and soaps nearby. 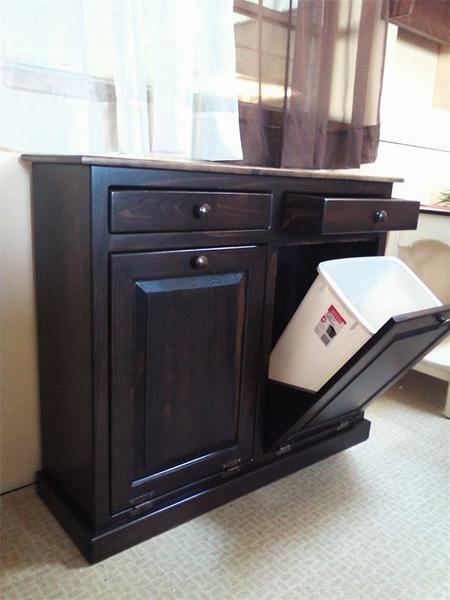 Complete with pine knobs and two pine wood drawers, this Amish Pine Wood Double Laundry Hamper with Drawers also comes with two eight gallon laundry containers. Consider our Amish Pine Bathroom Toilet Paper Holder to complement this pine laundry hamper. This American made pine hamper ships fully assembled. Choose to have it handcrafted unfinished or in your choice of stain or paint. We also offer beautiful hand painted designs for the front of the hamper. Call one of our Amish Furniture Specialists today at 1-866-272-6773 with any questions.